There is a shadow currently hanging over the field of international aid. Some writers who have attracted a great deal of attention claim that foreign aid has been a waste of money and has even done more harm than good. Dambisa Moyo (Dead Aid: Why Aid is Not Working and How There is a Better Way for Africa, Farrar, Straus and Giroux 2009) claims that aid to Africa has only increased poverty, deepened dependence upon the West, and institutionalized corruption in government. A few years earlier, William Easterly (The White Man’s Burden: Why the West’s Efforts to Aid the Rest Have Done So Much Ill and So Little Good, Penguin Press, New York 2006) argued that a vast amount of money has been spent on foreign aid, especially in Africa, and that national growth rates have not increased as a result of the aid. Lewis and Sachs are concentrating on development cooperation, whereas Moyo and Easterly are focussing on finance, specifically negligible national economic growth rates in spite of infusions of assistance such as loans from the World Bank. Paul Collier (The Bottom Billion: Why the Poorest Countries Are Failing and What Can Be Done About It, Oxford University Press 2007) takes a more analytical approach to the situations that retard economic growth. He identifies the four “development traps” described below and prescribes solutions quite different from the traditional approaches to aid (including, for example, armed intervention). Ian Smillie (Freedom from Want: The Remarkable Success Story of BRAC, the Global Grassroots Organization That’s Winning the Fight Against Poverty, Kumarian Press 2009) presents a striking example of how indigenous non-governmental organizations can be highly effective in the struggle against poverty and hunger. Let’s scrutinize the above list of eight types of international assistance. A great many citizens in industrialized countries would like to do their bit to make a sustainable improvement in the quality of life, especially for those in the world most in need. Sadly, they may think it is futile to try to do so when they read the arguments of Moyo and Easterly. This paper distinguishes between the problems that these authors raise concerning a developing country’s finances and debt – which cannot be solved by ordinary citizens, but only by national and multinational organizations (the fifth item in the list of eight above) – and the difficulties that daily torment individuals, families, and communities. This latter work is the focus of international development cooperation (the third item in the list above) and it can be very successful indeed, especially when initiated and managed by motivated “ordinary” citizens. This paper presents best practices – what works and doesn’t work – in the management of international development cooperation. One of the greatest pleasures obtained from working in international development is watching highly effective managers, Westerners as well as our partners in other countries, as they repeatedly make good things happen. These individuals are quite a diverse lot. They could be academics or students, they might belong to international or indigenous NGOs, they may work for associations of educational institutions, they might be businesspersons or consultants, they may be community leaders or trainers in developing countries, they can be found working for government or bilateral or multilateral agencies at home and abroad or they could be enthusiastic volunteers meeting around a kitchen table. 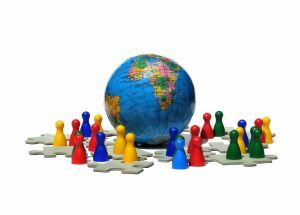 Although many of the individuals who do international work are very good at the business of managing development activities, there are too many—unfortunately—who are less effective, resulting in an abuse of scarce resources and in disillusionment and resentment on the part of their partners. Expecting that Western entrepreneurs and investors will use their money to provide developing countries with what they most need. It is useful, therefore, to identify the approaches and methodologies that do work and to identify a set of best practices for the effective management of international development cooperation. Before plunging into a developing country to start tackling a particular problem, it is useful at first to carefully size up the overall situation in that country. We benefit from being able to anticipate what all the likely (and often related) development needs will be and, perhaps even more importantly, the likely obstacles to development. A set of indicators to facilitate the identification of needs and obstacles follow below. These indicators won’t replace the value of actually working with national counterparts in a country, but they do provide an preliminary set of signals as to what should not be neglected in a diagnostic analysis of the country’s development situation, especially prior to a first visit to the country. The Gini Index measures income disparity among families within a country. A GI of zero means that every family has exactly the same income (i.e. zero disparity). In a country with a GI of 1.0 just one family receives all the national income (100 percent disparity). In practice, most countries have a GI value somewhere between 0.25 and 0.65. A low GI value, unhelpfully, reflects the possibilities both that a country is uniformly well off and also that it is uniformly impoverished. Accordingly, low GI values are typical both of Scandinavian countries (with their strong support for social welfare), and also of countries from the socialist, relatively poor countries of the former Soviet Union. Low GI and low GDP: The country is uniformly poor. Therefore, widespread income generation strategies may be appropriate and are probably connected to the need for enhanced literacy, education and training. Quality of governance in both the public and private sectors will also likely need upgrading. Examples are several countries of the former Soviet Union, and Ethiopia. Low GI and high GDP: Most people are reasonably well off. This scenario is typical of EU countries, especially the Nordic countries, as well as South Korea and Australia, none of which is a candidate for international development assistance. High GI and low GDP: Non-uniform poverty exists in the country. Several examples are in sub-Saharan Africa, such as the Central African Republic, Niger, Namibia and Lesotho, as well as Haiti. Income-generation strategies targeted to specific sectors may be appropriate and are probably connected to the need for enhanced education and training. However, there may be obstacles to development created by families, political parties or ethnic groups that hold economic power. Examples are Sierra Leone, Zimbabwe and some countries in Central and South America. High GI and high GDP: One possibility is that the entrepreneur class in the country has been successful in producing wealth. However, this wealth is not extensively shared with the rest of the population. Examples are Brazil, Chile, Singapore and Hong Kong. Another possibility is that, in resource-rich countries like Nigeria and Venezuela, there is a group with political power that is reluctant to share national wealth with the rest of the population. An absence of democratic institutions combined with narrowly held wealth suggests that corruption and the lack of transparency will be obstacles to development. There is no end of anecdotes—real or apocryphal—about corruption in international development. Because opportunities for corruption can appear in subtle and ambiguous forms, Westerners working overseas will need to be proactive and become very informed on this issue before getting started. Two helpful indicators created by the organization Transparency International (TI) are the Corruption Perceptions Index and the Bribe Payers Index. The CPI has a scale from 10 (highly clean) to 0 (highly corrupt). According to TI, “The CPI ranks almost 200 countries by their perceived levels of corruption, as determined by expert assessments and opinion surveys. In 2010, Denmark, New Zealand and Singapore were tied at the top of the list with a score of 9.3, followed closely by Finland and Sweden at 9.2. Bringing up the rear is Somalia with a score of 1.1, slightly trailing Myanmar and Afghanistan at 1.4 and Iraq at 1.5. “The TI Bribe Payers Index evaluates the supply side of corruption – the likelihood of firms from the world’s industrialised countries to bribe abroad. Belgium and Canada shared first place in the 2008 BPI with a score of 8.8 out of a very clean 10, indicating that Belgian and Canadian firms are seen as least likely to bribe abroad. The Netherlands and Switzerland shared third place on the index, each with a score of 8.7. At the other end of the spectrum, Russia ranked last with a score of 5.9, just below China (6.5), Mexico (6.6) and India (6.8). The Conflict Trap. Coups and civil wars impose huge costs on a country. Relapses are likely because some warring participants learn how to profit from fighting. For most of the population, however, poverty is increased because of conflict, resulting in resentment and anger in young people, and leading them to more fighting. The Natural Resource Trap. Countries that are rich in natural resources attract national, regional, and international groups eager to fight for control of the resources. Governments become wealthy and increasingly unresponsive to their citizens. Resource wealth discourages industrial development in the country (“The Dutch Disease”). Landlocked with Bad Neighbours. It is very difficult for such countries to participate in international trade, especially if transportation infrastructure connections are poor. Bad Governance in a Small Country. International investors can be discouraged by countries with economies damaged by inept management, combined with the smallness of markets and labour pools. Western project managers often say (correctly) to their partners, “This is your project. Tell us what you want to do in the project. Tell us what we can do to help you.” The concept of local ownership is a powerful one in international development cooperation. In terms of building capacity, of generating self-confidence, of stimulating motivation and enthusiasm, of nurturing decision making skills, local ownership works far better than the older paternalistic donor/recipient model of foreign assistance. Although the word “recipient” still unfortunately pops up in development discourse, modern thinking promotes full equality between the partners or, even better, having the overseas partner take the lead in the project or program. More precisely, a transition should occur over the multi-year duration of a project. Projects typically begin with a relationship that is usually dominated by Westerners, and they evolve into a partnership characterized largely by local ownership at the end. My experience has been that not all Canadian project teams agree that this transition should take place. Some Canadians argue that the partners will not have the ability, the knowledge, the integrity and/or the motivation to bring a project to a successful completion without extensive and constant Canadian involvement and control. In dealing with this attitude, it is helpful to remember that the Canadians will not be there at all after the end of the project. Thus, it is an essential management task to strive, from the beginning of the project, to help the partners prepare to carry on after the Canadians go home. The transition to local ownership is a demanding management task that begins right at the start of the project, is gradual rather than abrupt, and requires full discussion and agreement involving all the partners. One such management technique calls for the Canadians to assure their partners that they do not need to seek prior permission or agreement to carry out activities that will support the agreed-upon outcomes of the project. The partners should not fear the possibility of “failing” if they are truly going to become self-reliant. Another factor favouring this transition is that it is relatively expensive to repeatedly bring a number of Canadians to the partner country. Some partners politely make the point that they can find better uses for the money in the later stages of a project than to pay Canadians’ travel expenses. Expatriate travel in the second half of a project is not cost-effective when compared to other potential uses of the funds in the partner country. Some Canadians confess that they really enjoy visiting the partner countries and don’t want this pleasurable and (in some cases) ego-stroking experience to be minimized. Other approaches or methodologies that have stood the test of time are listed here for completeness, but do not require further explanation. Finally, as a note to the reader who is considering devoting all, or a portion, of her or his life to international development: There are an enormous number of truly important things for you to do, and you will find it fundamentally satisfying when you help to improve the quality of life in a community. The goal of these best practices is to develop and sharpen your knowledge and decision-making skills so that you will do effectively whatever it is you choose to do with your life in international development.